Brandy and I went out early this morning with the intentions of riding a century (100miles or 160km). The plan was to leave in the wee morning hours and have our century done by 11am. All went to plan except the route was a little short …by six miles. Well we both thought the extra six miles wouldn’t add any real benefit to our fitness so we called it at 94 miles. By the way, this was the longest ride for Brandy since April. I’m proud of her for getting it done. She didn’t look too bad when it was over either. The Detour bag was packed to the hilt once the weather warmed up a little. These bags are awesome. 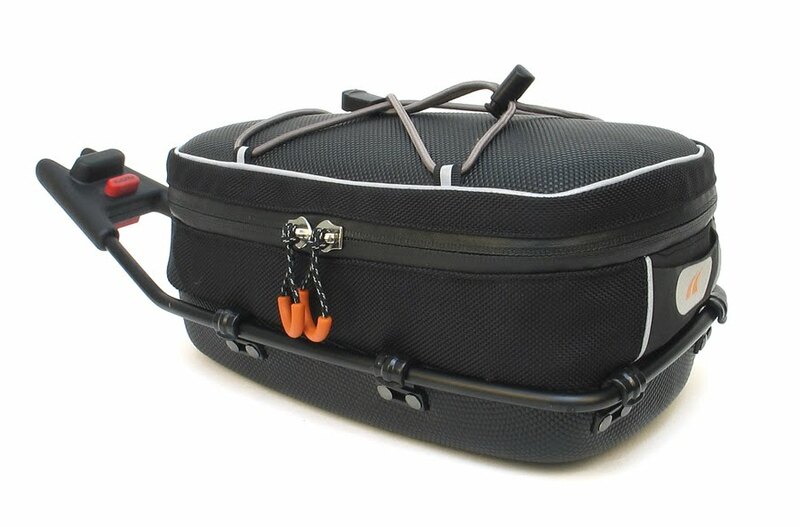 If you are a brevet rider or on a credit card tour you NEED to pick up a Detour bag. The bag below is the Hightail ULP. Here’s a short video (90 secs) you must watch until the end. The weather this morning was just perfect. I wore my Skins compression long sleeve garment, a short sleeve jersey, arm warmers and knee warmers. I believe it was in the low 50’s. It felt brisk at first but about 10 minutes later I thought it was perfect. The route was coastal without any significant climbs. We rode at endurance pace and restrained from chasing rabbits. On this 6 hour ride I rode a new pair of shoes. Bont A-One Cycling Shoes. They are fantastic! I mean it. They are the stiffest shoes I have ever owned. And I’m not just talking about the soles everybody is doing that. No! They are stiff all the way up the front, sides and the heel cup. Even with all that stiffness the shoe is remarkably comfortable. And my lord are they light! The toe box is plenty roomy for my feet. But I think they would accomodate a slightly wider foot without having to buy a “wide” model. They are heat molded custom shoes and you can mold them yourself at home. Unlike the Shimano R310 that require all the Shimano doodads (oven, toe caps, bags and suction hoses etc) at an authorized dealer to get the shoe molded to your foot. I would strongly recommend the Bont A-One cycling shoe to someone looking for a very stiff shoe. And finally as far as few I used Prolong Energy for the 6 hours I was on the bike. I felt great the whole time and I didn’t feel hungry. Calorie expenditure is higher on the Fixed Gear because you can’t coast which means you spin like crazy on the downhills. 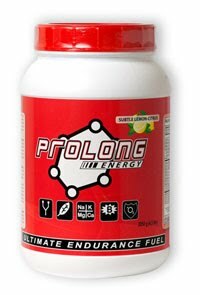 I am doing a product evaluation on Prolong Energy. Here is a product comparison including some of the iconic brand names of sports nutrition. John Heiss tells me there is a new production run coming soon where the taste has been modified. I’m really looking forward to evaluating that formula when it’s available. 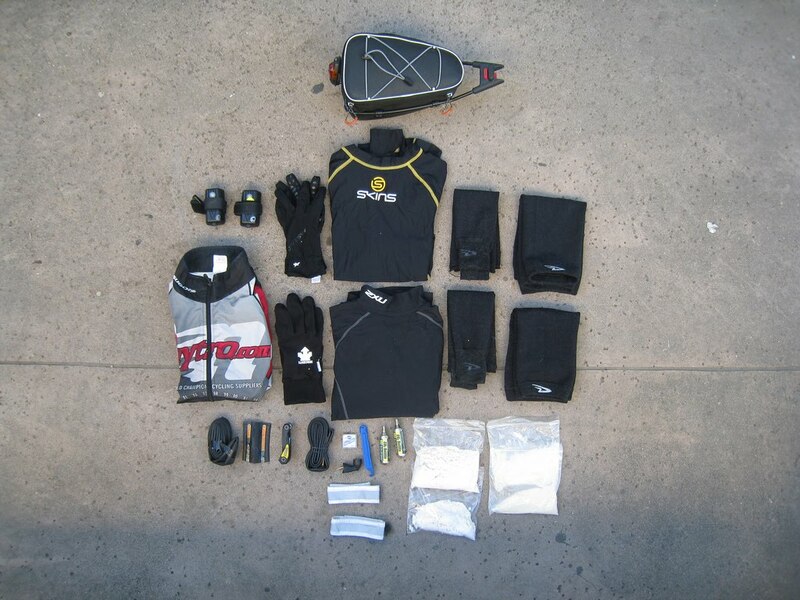 This entry was posted in century routes, Detour Bags, Fixed Gear, nutrition, product review, skins by REV Cycling Directeur Sportif. Bookmark the permalink.